Discount Quai D Orsay Cigars cigars store have the lowest online prices on cheap cigar. This brand was made mainly for the French market in 1970s. All its sizes tend to use light wrappers, a frequent preference in France. Cigars are of a nice taste, mid strength, solid in texture and good burning properties. 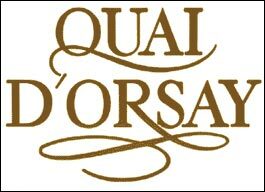 Actually, the Quai D'Orsay cigars are very hard to find.